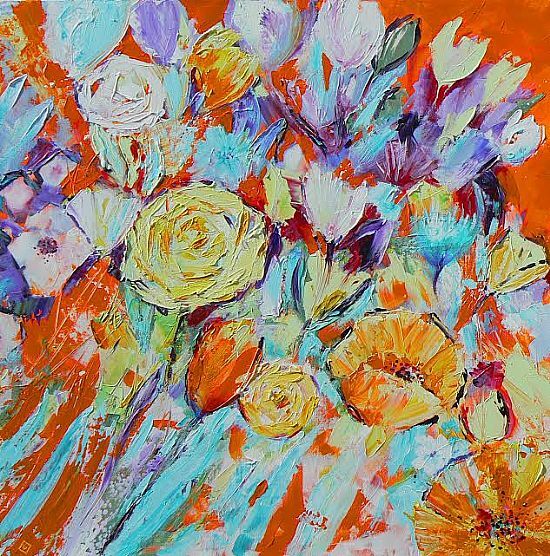 Juicy colour is my main motivation for painting, with which I hope to create an emotional impact and invite viewers into my joyful world, where they can escape from the “everyday”. My landscapes are sometimes real and sometimes imagined, from memories of places I have visited or want to visit, incorporating emotions and interpretation, using texture to create dynamic movement. 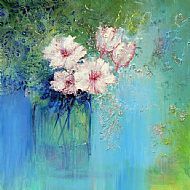 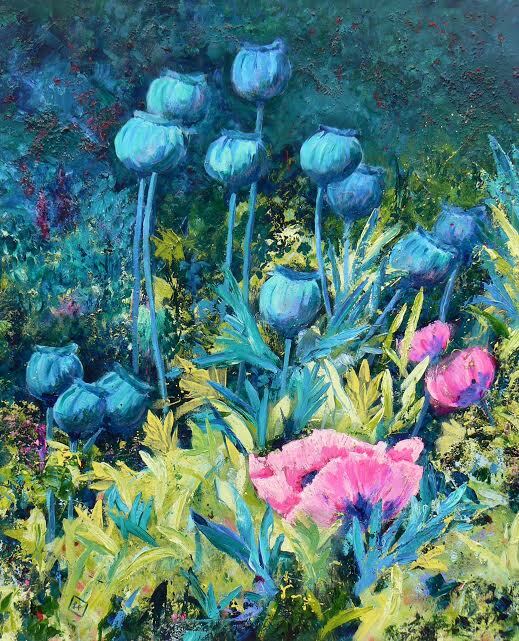 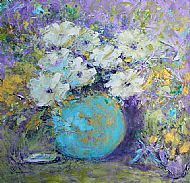 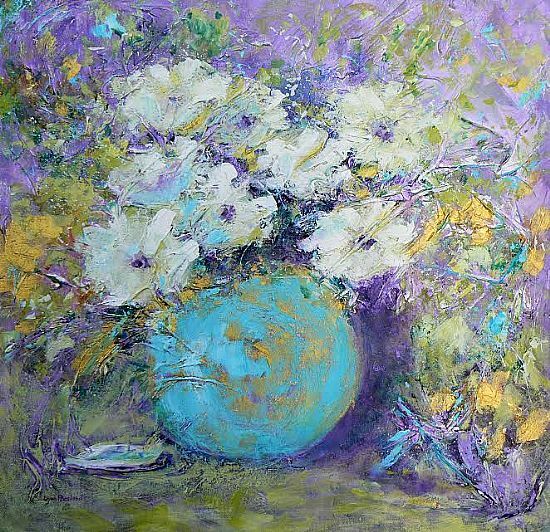 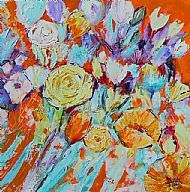 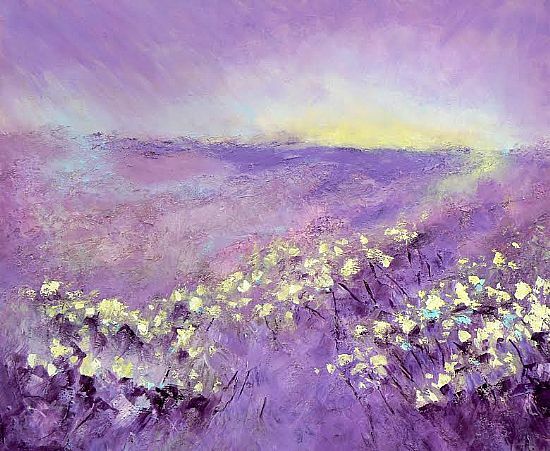 My flower paintings are inspired by spending time in the gardens of anyone who will let me! 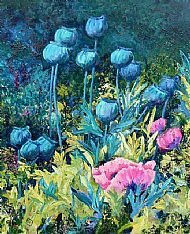 My own garden is a constant source of inspiration, as it is far from informal - I like to let the flowers grown where they are happy. 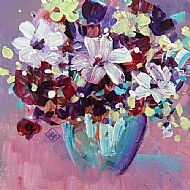 Many of my paintings are in collections overseas and my work has been exhibited in various galleries in Derbyshire, Sheffield, Buxton, and the Harley Gallery Welbeck.